Prominent & Leading Manufacturer from Rajahmundry, we offer ss high pressure centrifugal pump, chemical process pump, sanitary centrifugal pump and pharma process pump. 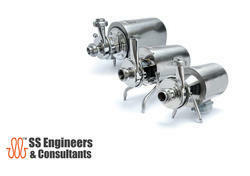 SS High Pressure Pumps suitable for washing machines, Cooling Towers, Food & Pharma Industries, Chemical Industries. 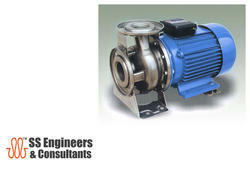 Sanitary Centrifugal Pump 1 hp. Suitable for Bulk Milk Cooler. Connections Suc/ Discharge: sms 38mm/38mm. Cr vs stellite or si carbide mechanical shaft seal.